1. A “day of departure” is drawing huge crowds in Egypt. 4. The fear that Pakistan might be next in the “great upheaval” haunts US policy-makers. All of the ingredients that led to revolution in Egypt are in the mix in Pakistan. 5. Food prices are rising fast due to uncertainty about the weather, tight supplies and political instability. The UN’s Food and Agriculture Program reports that prices rose for the seventh consecutive month and are expected to keep rising. 6. The police chief in Nuevo Laredo, Mexico, Manuel Farfán, was assassinated. Mr. Farfan, a former brigadier general in the Mexican army, was one of 11 retired military officers recently appointed as local chiefs in Tamaulipas State, which has been overrun by drug gangs. 7. The National Journal’s presidential campaign “power rankings” are out. They show Mitt Romney in the strongest position to win the 2012 GOP presidential nomination. 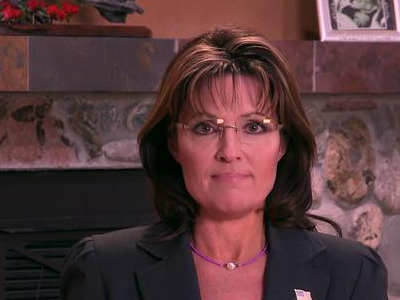 Sarah Palin is said to be fading. 8. Some conservatives would like to see former Florida Governor Jeb Bush (R) run for president in 2012. Mr. Bush has said he will not run in 2012, but is leaving the door open to a run in 2016. 9. Chris Cizzilli, who writes “The Fix” column for the Washington Post, argues that Newt Gingrich is being overlooked and underrated in his bid for the 2012 GOP presidential nomination. 10. Freshman Sen. Rand Paul (R-KY) was the sole dissenting vote on a bill that would outlaw aiming a laser pointer at an aircraft. His father, Rep. Ron Paul, also voted against the measure in the House.